We had next door's builders round for a meeting to discuss re-building our driveway wall. This is a huge thing for both us and them as we hate the current wall, which was half knocked down by the seller's when we purchased it (long story) but we have other jobs to complete that are more important. Its a bigger deal for the builders though as without making the changes, they won't be granted their planning permission. So plans have been drawn up to rebuild it to specifications that should be agreeable for them in terms of their planning permission and now we wait to see what planning have to say. I'm keeping my finger's firmly crossed that the wall is approved! Work has been crazy busy with a new website being launched and everything that goes with that. We've been continuing to tweak it and make changes and its looking good. November was the month that I started to feel.... old. I had an appointment at the opticians who told me I now have to wear glasses "... most of the time...". And they weren't kidding, the only time they told me I don't need to wear them is when I'm walking! I'm slowly getting used to wearing them but I do feel very self conscious in them and since wearing them, I've remembered why I don't wear jewellery. Because I constantly fidget with them. The girls have had a couple of parties to go to this month. One was at soft play and the other in a village hall, which D was super impressed to have to go to with E. It was his idea of hell with lots of kids running around screaming and a loud disco. Never mind, I didn't feel too bad for him! he's been better he's regained weight and is looking healthy again. Phew! Unusually for me, I had a night out with some of the Mums I know from school and it was bloomin' lovely to see everyone without their kids and being off Mum duty. We went for an Indian and I'm hoping we manage to do it again soon. 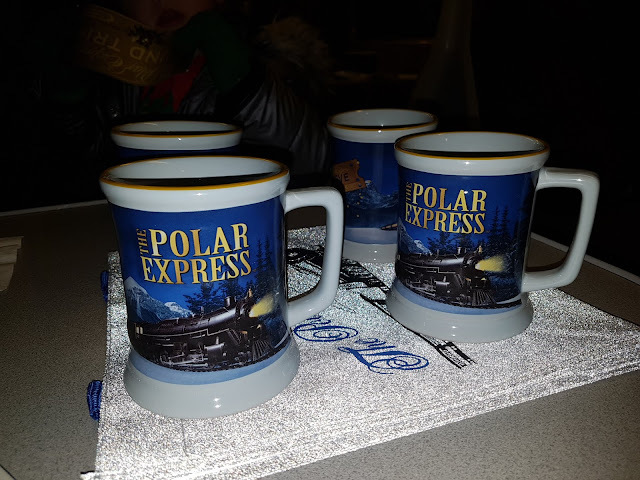 We took a trip on The Polar Express a couple of weeks ago and it was brilliant, the girls absolutely loved it. The performers did an amazing job, talking to everyone and remembering their names and story and then getting us to join in. 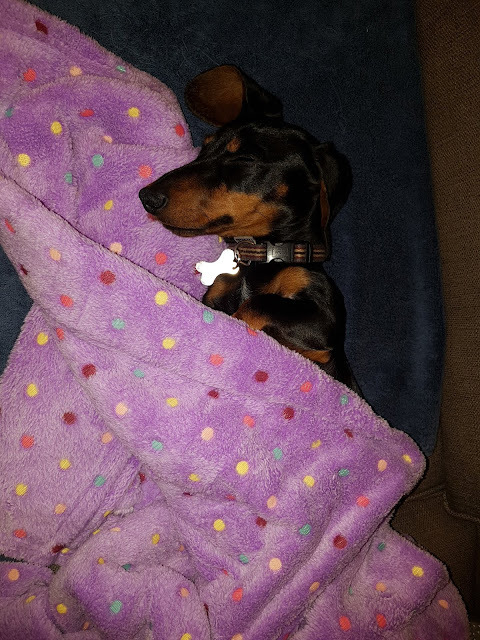 We were lucky to get first class seats when we booked so they were a little roomier and comfier than standard. We all enjoyed a cookie and hot chocolate, we saw Santa and sang Christmas carols and the children were given a silver bell. The only thing I would have done differently would be making sure they girls had had their dinner rather than a snack before as they spent the whole time asking if we were still going to take them to McDonalds once we had finished on the train!! Here's to December, which is looking pretty full with events, mostly for the kids, it has to be said! Have a good month all!